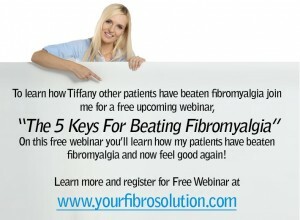 Judy Beats Fibromyalgia | Your Fibro Doctor - You don’t have to live with fibromyalgia! DrM: How are you? Thanks for joining me from Pennsylvania. Judy: Yes, way up north. DrM: I wanted to get your permission before I ask you … I kind of put you on the spot, if you don’t feel comfortable just let me know and we’ll do a question/ interview session. One of the things that I thought was wonderful about you was that you shared a handwritten letter with me when we first started. That letter really moved me. I wanted to see if you’d feel comfortable if I read just a couple of portions of this letter. Judy: I don’t even remember that. DrM: This was the letter that you wrote to me. It was on the back of a form, a handwritten letter about you being an office manager at a physician’s office. Are you comfortable with me reading that, is that okay? DrM: This is a handwritten letter from Judy before we even started working together. I loved it because it really made it all come alive for me what she was going through, what so many people with fibromyalgia go through. This is the letter, this is before we ever met by phone. DrM:Then you went on to say that you tried part-time teaching as a medical office management, but after 6 months crashed hard and found you couldn’t even get out of bed. You couldn’t remember anything, couldn’t sleep, couldn’t do anything … it goes on and on about your frustration but I remember this letter. I just remember how frustrated you were when we started working together, to have the knowledge that you had, seeing the medical world in its futile attempts to help you. Everybody wanted to help you, yet you were getting worse. DrM: Share with us a little bit about what you were going through when you and I first met by phone a few months ago … what were your issues? Judy: I read your book and it was like I was reading a novel that spoke to me. I remember the evening when my husband came in the living room and I’m sitting there balling my eyes out; he thought I was reading a romance novel. It was like someone didn’t want to give me another drug, they wanted to try to figure out what was wrong with me. I was in that desperate mode. I was trying everything from physical therapy to massage therapy. I got electric stim machine, I tried all the fibro creams and all the supplements that are out there, and nothing helped. Like you said, with fibro you get one diagnosis after the other and I had them all. I couldn’t sleep, couldn’t make decisions, I had restless legs. Also some strange things started happening that not a lot of fibro patients have, and I came to my breaking point this past winter. I always seem to get worse up here when it gets cold. I get sick, so I knew my immune system had been depleted. I started this winter with the usual 2 sinus infections, followed 3 weeks later by bronchitis. My irritable bowel was so bad that it actually turned into colitis and 3 weeks after I’m done taking antibiotics for that, I get strep throat. I’ve never had strep throat in my life; finished that course of antibiotics and I get shingles in May. I’m like, what in the heck is going with me? I can’t take this anymore, I need to find something else. This is where I read your book from beginning to end and I said, I don’t have to go to Alabama. I can do this phone consult, send my records and we can figure this out together through trial and error. I’ve come a long way in a very short period of time. DrM: We have, you’ve worked so hard and you’ve done so well. I’m so proud of you. What was that first consult like? Obviously it was a big leap of faith to reach out to somebody on the internet and then set up a phone consult, but what was the first consult like? Was doing it by phone intimidating? Did you feel uncomfortable in any way doing that? I’m just curious. Judy: I felt like how can he really know me without seeing me? I have to say I did worry about it. But I said I’ve gone to how many doctors, they have seen me and where am I now? What is this going to hurt? I gathered all my medical records, the things that you needed, I sent them and I was impressed how much time you took with me … not only the first call, it’s every two weeks the calls that we have. I spend more time talking to you than I can talk to my PCP. I’m impressed with that. DrM: I appreciate that. When we first started talking, you had all these issues and if I remember right, you were on 7-8 different meds. One of the things you told me was you really wanted to get off your medications. At this time, I think you’re taking 1 or 2 just as needed basis? 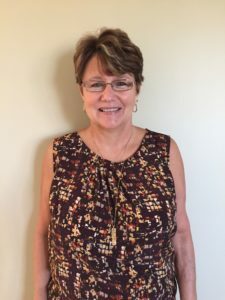 Judy: Right, I was on 13 medications everything from sleep medication to Cymbalta, to Vitamin D, to restless legs, Flexeril, Synthroid … I had a pituitary tumor, I had a little bit of everything. I stopped most of my meds when we first started, the end of July. By September, I was off everything. For pain, I was up to taking 8 Vicoprofen a day which I knew in the back of my mind from being in the medical field, none of these drugs were good especially with liver toxicity … I can’t keep doing this the rest of my life, I have to find other answers. I went back for the first time to my PCP to do all new blood work this past October, and it was my first time to tell him that I stopped everything and he just looked at me. He was supportive because he said, “Judy I know what you’ve been through for 13 years. If something is going to help you, I say go for it.” He called me when the blood work came back and he said, this is the first time in 13 years that all your blood work is within normal limits. That was like, I am on the right track. DrM: I remember you said that he was awestruck when you saw him. You’ve lost some weight. I know you worked real hard on anti-inflammatory diet and you still on that. How much weight have you lost? Judy: As of today, I’m down 33 pounds. I started at 199 in July and I’m 166 today. DrM: That’s fantastic. I know your cholesterol was elevated and it’s dropped quite a bit since we’ve been working together. You were smart enough not to even go on the cholesterol meds they recommend. I guess you knew from your medical background given everything else you were doing, it probably wasn’t going to be a good thing to be on. Is that right? Judy: Exactly. I remember reading your book and I said, this is the first thing I’m not taking. It was elevated just a little bit. After I looked at your prescription, it was my fault because you told me to take 2 pills twice a day and I only read it as taking 2 pills a day. I feel that small fluctuation was just a misreading of what I was supposed to be taking. I’m confident that the next time that we have it checked, that also will be within normal limits. DrM: It’s dropped 50 points and that’s pretty impressive without taking statin medications. One thing that you really struggled with was your sleep. When you were able to come off that Ambien, I think we both celebrated that … maybe more than you. Then you were able to get off the Flexeril too, it was fantastic you were able to do that. Tell me about your sleep now, how’s your sleep doing? Judy: One of the things I did tell you was, when I was on the Ambien you eventually do fall asleep but my kids would make fun of me, because they said an hour after I take it, they could ask me anything and I wouldn’t remember what they asked me and they could get away with things. I could not remember what had happened. The worst part was I didn’t feel relaxed when I did wake up, and I could not dream. With the meds that I’m currently on, I’m back to remembering my dreams. It may seem insignificant but it’s like, I don’t remember the last time that I dreamt. DrM: You had put down your energy was a 1 or 2 out of 5, it was incredibly low. You went from working from what I call a high strata type of job where you really had to use your mind and engage in a lot of different areas, to where it was hard to get through the day. You couldn’t really do much physically, is that right? Judy: Right. The hardest thing was losing a job that loved, in the profession that I loved for a guy that I loved. That was also mentally hard for me with my Type A personality. 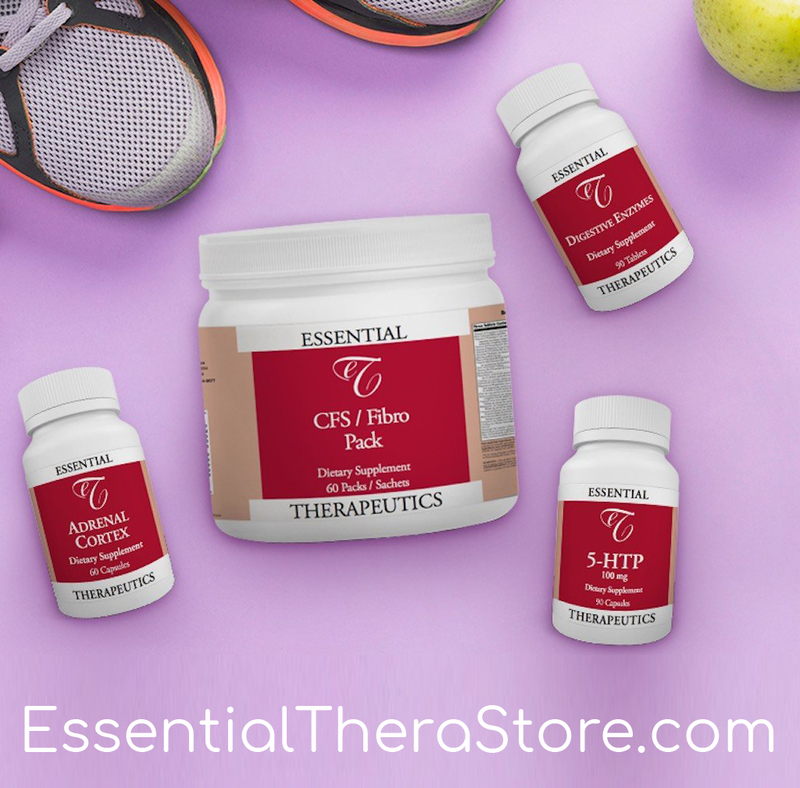 To be in your own home and not have enough energy to take care of your home and cook meals for your family … I spent most of my time laying on the couch, because I was in so much pain and I couldn’t do anything. In fact, I had someone every other week to clean my house because I can’t do it. It was too much to do. DrM: Tell me about your pain now. I know one time it was all over and you were taking quite a bit of pain medications. How is your pain doing? Judy: I have to say that my pain level has decreased significantly, my energy has increased significantly. I used to call myself a human barometer because I would know when it’s going to rain or snow before they even called for it. I do have my days where sometimes I am hurting a little bit more than usual. Like most fibro patients, when you have those good days you want to get so much done. You over-exert yourself and all you do is make yourself crash the next day. It’s very important for fibro patients to realize that you’ve still got to make a steady attempt, you can’t just go all out every day, day after day. you’ve got to have that restful time and you’ve got to be able to sleep. DrM: The other thing that you had was migraines and headaches. That’s really not been an issue now. DrM: Great. What would you tell people who say, there’s no way that taking vitamins, minerals, amino acids and the things that you’re taking right now, obviously the diet can make a difference. Oftentimes you hear that that doesn’t work but obviously it does. What would you share with people about that? 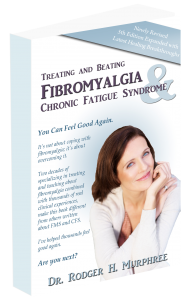 Judy: Part of my therapy is I am on a couple of fibro support networks through Facebook. I know the desperation out there, I’ve been there and people are searching for answers. There were these multiple postings of people that are saying, “You’ve got to try marijuana or cannabis. It’s going to solve all your problems.” It’s the first time I ever documented my story. I got on there and I said, “No, don’t do it. That’s not the answer.” I explained my story and I have gotten so many replies from that. I’m a testimony to you because people have been writing back to me saying, “Who is this doctor? Where is he at and how can I get his book?” Juno has sent me an extra book and I had this poor girl who was in tears. She called me and I said, I have this extra book. It must be a Godsend because I’m not sending it back to the office, I’m going to forward it to you overnight. I heard in her voice what I used to hear in mine. I said you’ve got to take it seriously, you’ve got to read it and you’ve got to follow the program or it won’t work. I’ve only been on it seriously for 3 months and it’s changed my world. DrM: I appreciate your courage, number one to share your story and I really appreciate you trying to help others. That’s really what it’s all about, I think. What happens when you get fibro, you just get so beat down and you get so exhausted from the whole thing that it’s really easy to give up. Then before you know it, you’re in a support group chat and it’s all about how bad you feel every day. It’s not about maybe you can feel better. It’s all about how bad you feel today, and that’s really bad company to be in by the way but it happens. What would you like to share with those with those who are listening this evening or maybe listening on the replay? What would you like to share about your story and our relationship together? Judy: All I can say is that I have been where many of you are right now. I’ve probably been in some worst times, especially because mine started with the depression and anxiety to a really bad level. When you have fibro, it’s really a stigmatism that’s attached to you. It’s hard for your family or your friends to understand, because they can’t see that something is wrong with you. They don’t understand why you have to keep canceling on them. I’ll be honest with you, we’ve lost some good friends because there are times I just can’t go out. People get tired of hearing you can’t come or you can’t do … when you get to that place, you search for anything. Like I said, I was in the medical field for all those years. I thought I would be the last person to ever try something like this, but I am so glad that in the past 90 days it has made more improvement in my overall health from my head to my toes, than anything that I have done in 13 years. I have been to every kind of doctor, every kind of specialist. Like I said, just to be able to go into my primary care office and cross off all those drugs and say, I don’t take this anymore, please remove this from my medical record … I will certainly always be a spokesperson and I will continue on my fibro support group, directing people to please stay away from things like cannabis. I know you’re desperate but there are healthier ways to take care of this than that. DrM: Absolutely. Judy, I want to thank you for sharing your story with us tonight. I think you’re just a wonderful person. DrM: You’re so welcome. I’m really a better person for getting to know you and getting to work with you. We’ve still got so many more things we’re going to do, I’m just glad you’re part of our family at the clinic. Everybody loves you and we’re all so proud of you and we’re rooting for you. Judy: The time that we spend together, you always give me the time. If I have a quick question or I forgot something or I don’t understand something, Juno and the rest of the girls in the office they’re always there to return the call. If they don’t know the answer, they’ll get it for you … it’s just amazing. You have support from the physician all the way through the office staff, which is hard to find these days. DrM: I really so appreciate you complimenting them because they’re wonderful and they don’t get enough praise. They are two of the most wonderful people I’ve had, they’re the greatest staff. Juno’s been with me for about 15 years now. He used to be the nurse in the IV clinic at the medical practice, and Gina who’s her daughter has been with me for 11. 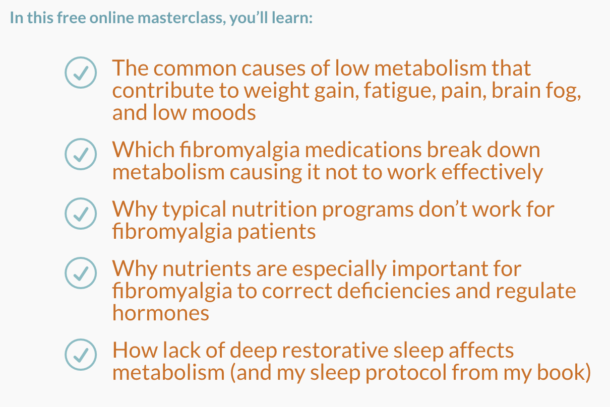 They know more fibromyalgia than most doctors. The great thing as I think you would agree, they love what they do and that comes out in their conversations with patients. It’s almost like family, which is exactly what I want in my clinic. I don’t want it to be stuffy and it’s not. Thank you so much for joining me. You have a great night.